Craig S. Kesch litigates commercial disputes in a wide variety of areas, including banking, securities, real estate and professional liability. He has represented clients in a variety of state and federal jurisdictions throughout the country and has experience in various forms of alternative dispute resolution procedures. Prior to joining Ganfer Shore Leeds & Zauderer LLP as a partner, Mr. Kesch had been a partner at Flemming Zulack Williamson Zauderer LLP, and an associate at Cahill Gordon & Reindel LLP. 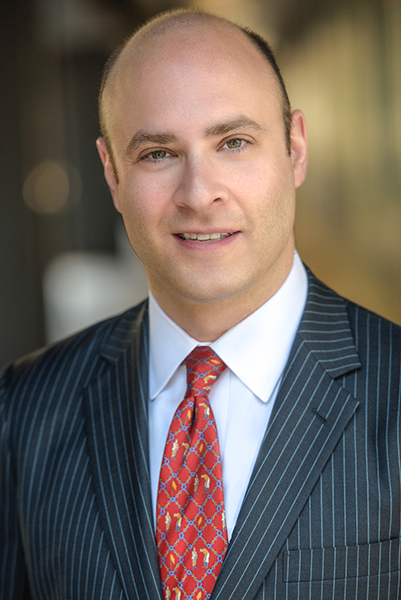 Mr. Kesch is currently serving on the Board of Directors, the Nominating Committee, and as Co-Chair of the Supreme Court Committee of the New York County Lawyers Association. Additionally, he is a member of the Federal Courts Committee and the In-House/Outside Counsel Committee of the New York County Lawyers Association, the Commercial and Federal Litigation Section of the New York State Bar Association, the Judiciary Committee of the Association of the Bar for the City of New York, and the Federal Bar Council. He has lectured on state and federal procedure and practice. Mr. Kesch has been named to the “Super Lawyers” list every year since 2016, and to the “Super Lawyers” Rising Stars list from 2011 to 2015. In addition, Mr. Kesch was showcased as a recommended professional in the 2016 edition of Financier Worldwide’s Litigation and ADR Handbook. Defense of national law firm in a professional liability action concerning claims regarding stranger-owned life insurance transactions. Representation of prominent satellite television distributor in litigation concerning interpretation of contractual provisions with content providers estimated to be worth upwards of $40 million. Successfully negotiated settlement for the largest commercial tenant in a local industrial yard that resolved litigations in two New York State courts. Representation of full-service New York law firm in a breach of contract action seeking approximately $40 million for representation of client in connection with the dissolution of a commercial real-estate empire. Representation of one of the nation’s largest providers of consumer loans and credit cards, and several of its senior officers and former directors, in one of the country’s largest federal securities class actions to date, one of only a handful to be tried since the enactment of the PSLRA. Representation of an underwriter of IPOs in a price-fixing lawsuit brought by two classes of plaintiffs against over 20 defendants, in a complex case involving analyses of antitrust suits in related industries, price fixing allegations based on parallel pricing and class certification. Representation of the largest commercial and residential roofing manufacturer in the United States in a RICO, antitrust and tort action arising from allegations concerning the handling of asbestos litigation. Representation of a leading manufacturer in a contract dispute over patent royalties, resulting in one of the largest jury verdicts in a contract action in the United States. Representation of a prominent real estate investment and management partnership in arbitration proceedings and litigations involving condominium hotels in Florida. Co-Chair, Supreme Court Committee, New York County Lawyers Association, 2015 to present. Member, Federal Courts Committee, New York County Lawyers Association. Member, In-House/Outside Counsel Committee, New York County Lawyers Association. Member, Commercial and Federal Litigation Section, New York State Bar Association. Member, Judiciary Committee, Association of the Bar for the City of New York.